According to reports, it is estimated that some of the megalithic blocks of stones weigh around three to four thousand tons. Do you believe it’s possible that all of those ancient texts mentioning giants walking on Earth are more than folklore and mythology? What if in the distant past, before written history and the rise of our civilization, advanced civilizations of ‘beings’ inhabited Earth? What if hundreds of thousands of years ago life flourished on a much different Earth than what we see today? Is it possible that these MASSIVE rocks found all over the planet from South America, Central America, and even Russia indicate that in the distant past, pre-human civilizations existed on Earth? And were destroyed by cosmic events causing civilization on Earth to reset several times? Some of the stones found in Russia are even bigger than the largest block located in Baalbek. 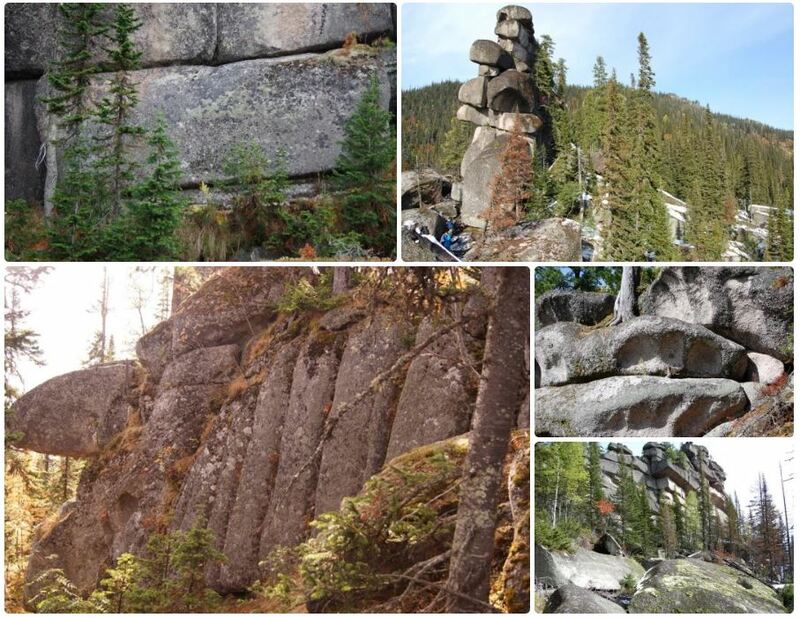 These massive stone blocks are nested deep within the Siberian mountains. Located precisely in southern Siberia on Mount Shoria, there are huge blocks of stone with flat surfaces, mindboggling angles, sharp corners and other clues which according to many are the ultimate evidence of cyclopean masonry. According to preliminary reports, it is estimated that some of the massive stones at Mount Shoria weigh around three to four thousand tons. No matter where we go and at what ancient culture we look at, it seems that ‘Ancient Giant Beings’ were present on Earth before ‘ancient history,’ a time that corresponds to a period in the long history of planet Earth, where, according to mainstream scholars civilizations and mankind were totally undeveloped and perhaps, didn’t even exist. Is it ludicrous to think advanced civilization existed on Earth before our civilization arose? According to mainstream scholars, it is impossible, but there are numerous pieces of evidence scattered around the globe which clearly seem to indicate a different time on Earth. If we look at the Genesis, we will come across plenty of evidence indicating Giants may have existed on Earth. Genesis: 6:2: That the sons of God saw the daughters of men that they were fair, and they took them wives of all which they chose. Genesis: 6:4: There were Giants (in Hebrew Bible Nephilim) in the earth in those days; and also after that, when the sons of God came in unto the daughters of men, and they bare children to them, the same became mighty men which were of old, men of renown. Is it ludicrous to think that that just as ancient texts tell us, perhaps thousands of years ago in the distant past, beings unlike any we see today were present on the surface of Earth, and some of the huge megalithic sites were erected by them? The few scientists that have taken the time to research this megalithic site have proposed that this rock formation is the result of geological processes associated with the intense weathering of the rock comprising Mountain Shoriya. Natural formations or the result of cyclopean masonry, what do you think?